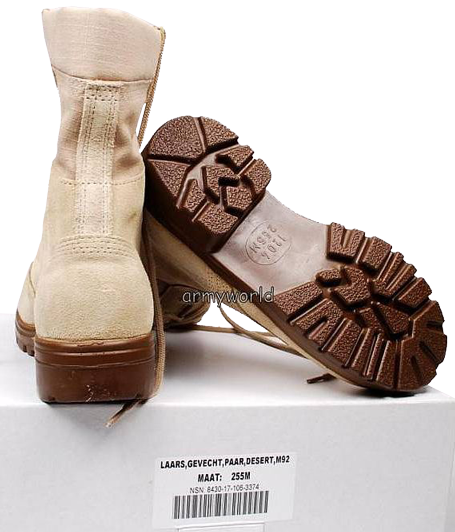 The military boots of the Netherlands (model M90) has become the basis for development of the first test model of the "desert" boots. It represented by itself almost complete analogue of the M90 Dutch boots design, up to the D-shaped laces fixing loop on the padded tongue. 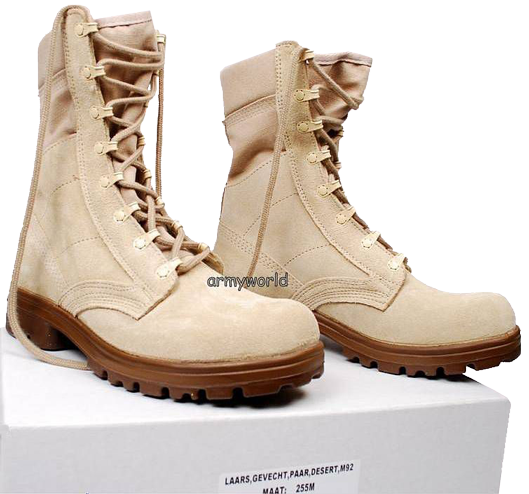 Lacing system is just a copy of the Dutch M90 army boots: the lower two pairs of simple round eyelets, above - hook clamp for laces fixation, and five pairs of speed-lacing "MARK" eyelets in the upper part. The flap of the boot's tongue is semi-closed. 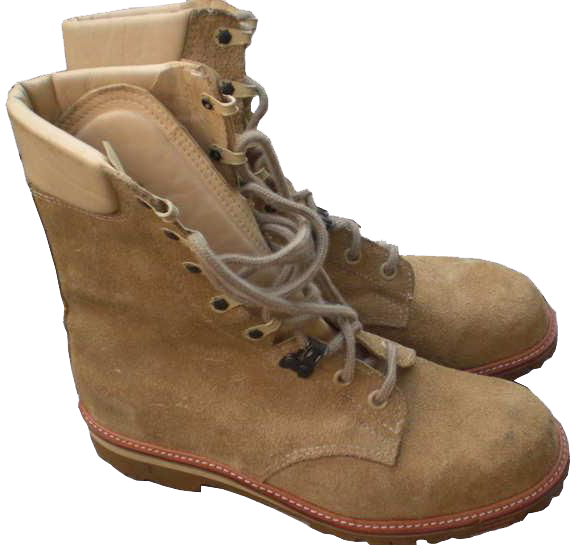 The out-look appearance of these boots was characterized by: sand-coloured suede top (leather cushioning on top of the boot is made from smooth leather); the top was glued and stitched to the out-sole; the lightweight yellow-coloured "VIBRAM" polyurethane out-soles with a standard tread pattern, patented back in 1937 by the Italian inventor VItale BRAMani. 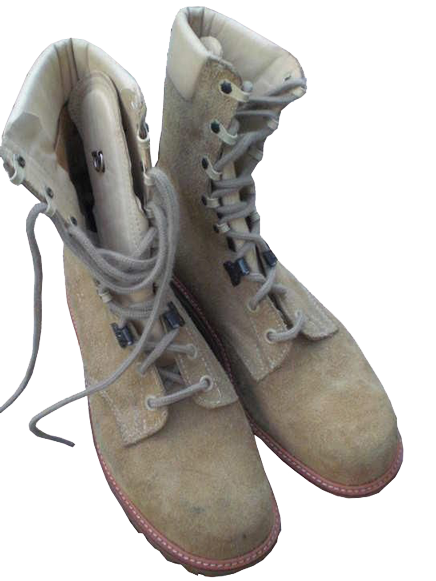 A small batch of such boots was manufactured for testing under real desert conditions. However, the tests in the real heat of the desert revealed significant shortcomings - these boots were very hot, and poor air ventilation caused discomfort feelings when worn. The leather cushioning at the top of the boots used to overlap the in-flow of air, although it protected well from sand and small pebbles. 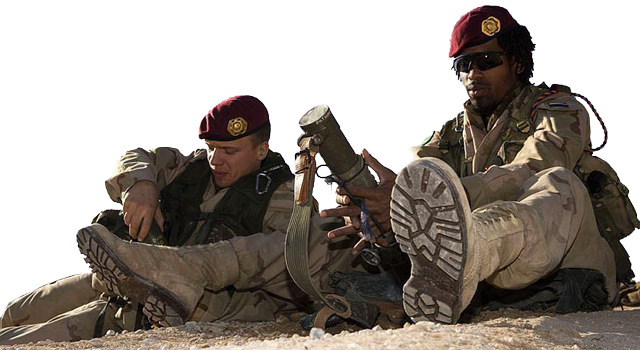 After summarizing tests reviews, on the basis of the same model M90 Dutch military boots, in 1992 a new M92 model "desert" boots was developed. By their design M92 boots were more similar to the American "desert" boots. The Dutch name for these boots is: "GEVECHTLAARS DESERT M92". The leather cushioning on top, like the upper part of the boots was replaced by lightweight and much more breathable canvas. Below the canvas part of the boots top came suede elements, which proved to be excellent in hot, dry desert climate. The suede of light sandy colour is heated by the sun much less than black smooth leather. Suede is a breathable material, which does not require any special care, and at the same time it is sufficiently strong and scratch-resistant. 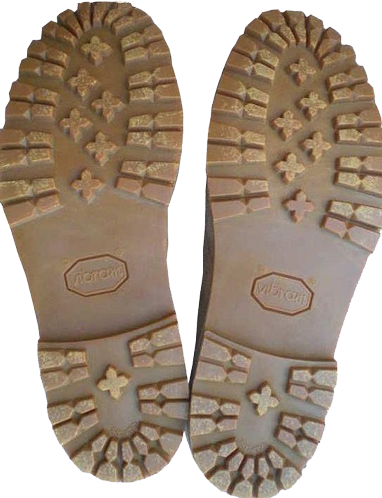 For waterproofing of the boots surface it is recommended to treat the suede with any "AQUASTOP" spray.